BLOW IT UP…or shrink it down. Learn to take a fun block and resize it to the size of your imagination. Think how fun it would be to take a cute block and “Blow it up” to a bed size quilt or size it down to a mini quilt. 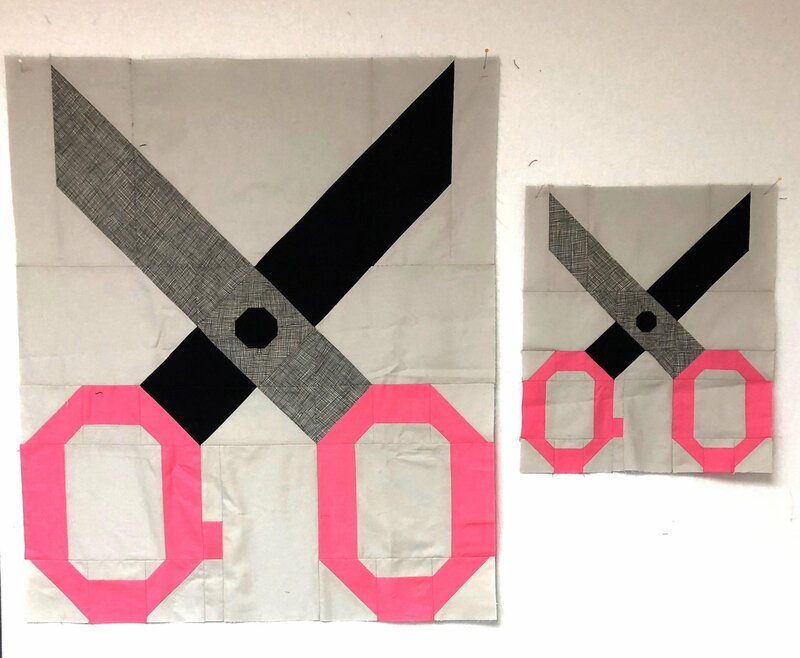 In class you will learn to resize the scissors block from the “Sewology” block of the month pattern held in 2017-2018 as a block of the month at Urban Spools. Lots of tips and tricks on the fabric preparation and piecing. We will provide you a block sizing tool in excel that you can use to resize any block in your library.